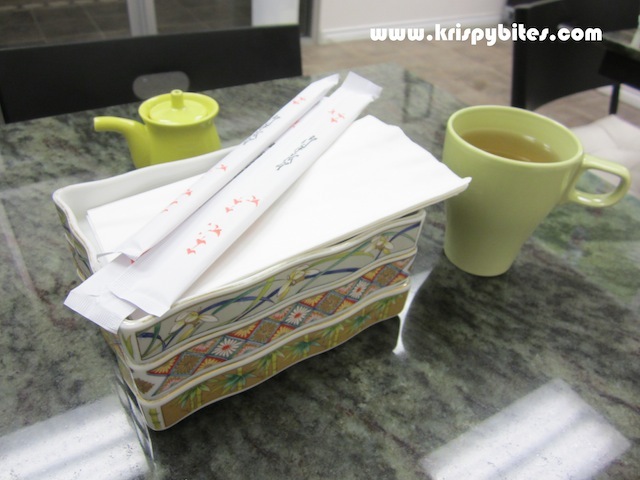 Kami is a small obscure sushi store just off of Parsons Rd SW. There are only 3-4 small tables and the place is run by a quiet but friendly Korean man. Given the nature of the restaurant, I was happy to find that everything was spotless and the dishware wasn't made of plastic. We even got complimentary tea which was a good start. 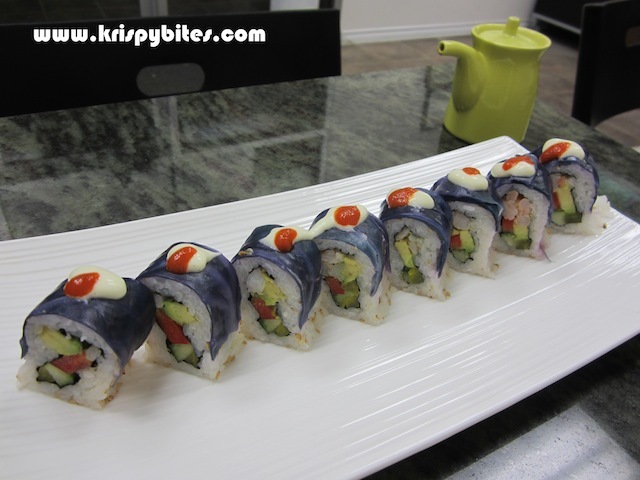 The sushi selection was quite diverse, from common California rolls to innovative creations like the spicy and sweet sponge cake roll. The maki rolls in the following picture are (from top to bottom) sea of fire ($15.20), green dreams ($11.40), and Kami roll ($7.60). 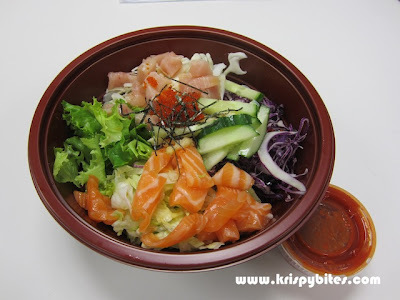 My favourite was the sea of fire as it was zesty and spicy with fatty torched salmon on top. Another unique option was the purple cabbage roll ($9.50). This reminded me of Russian cabbage rolls as the purple cabbage draped on top was very soft, yet still firm enough to hold the sushi together. My favourite dish at Kami is the bi-bim-bap special ($9.40), a twist on traditional chirashi with elements of Korean mixed rice. Fresh slices of salmon and tuna sashimi are served on a bed of sushi rice with tamago, cucumber, greens, and fragrant sesame oil. A piquant, specially blended hot sauce is served on the side. After mixing the desired amount into the bowl, it's time to dig in! The only complaint I have is with the rice. The texture and flavour were a bit off. The rice wasn't fluffy or sticky-chewy in the slightest bit and I couldn't detect any hint of vinegar. It was packed so tightly in the sushi rolls that I could barely see individual grains. The whole thing just looked and tasted like rice pudding. 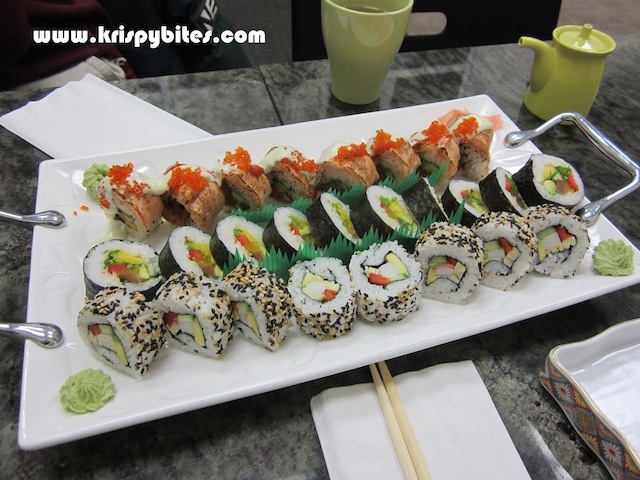 Even though I didn't like it, I think Korean style sushi (or kimbap as they call it) is usually made this way. Personally I prefer the Japanese style.